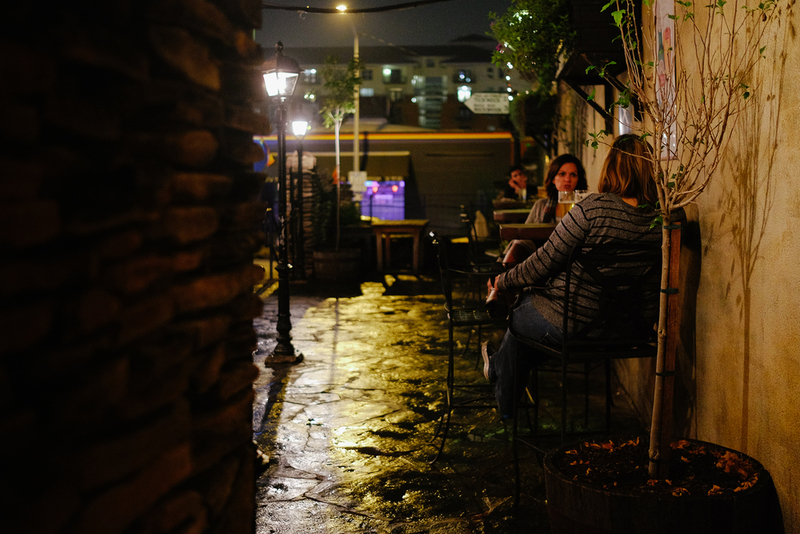 The Austin Drink and Click group had an event at Fado in downtown Austin recently. I'd never been to a meeting of this group before and this particular event was interesting because Fujifilm reps were there with a bunch of gear that folks could try out. I braved the heavy rush hour traffic in a light drizzle to see if I could maybe get some hands-on time with a couple of lenses I'm interested in. The gathering was much larger than I expected and since I'm not really at home in a packed crowd I ended up just wandering around the bar. The inside of Fado was oddly quiet in comparison to the bustling patio where the group had congregated. The ambience of the warmly lit bar ended up being more alluring than the latest gear to demo from Fujifilm and Westcott. I enjoyed the warmth and relative calmness of Fado on an otherwise quiet weekday evening. Images were taken with a Fujifilm X-T1 and XF 23mm f/1.4 lens.